Any home improvement project can be stressful and daunting, the main worry that many experience is whether or not you have taken the right measurements. At B&K Timber, we understand this and have therefore made building your own bespoke garden gates easier than ever! Whichever style of gate you choose, we offer advice every step of the way through our easy to use online gate builder and our helpful measuring guide which is full of tips on how to take your measurements properly and post recommendations. On top of this, our friendly team of experts will happily answer any questions you may have to ensure that you receive a beautiful bespoke garden gate that will compliment your garden and home for many years. At B&K Timber, our team of craftsmen lovingly manufacture beautiful bespoke garden gates to suit all homes and budgets. 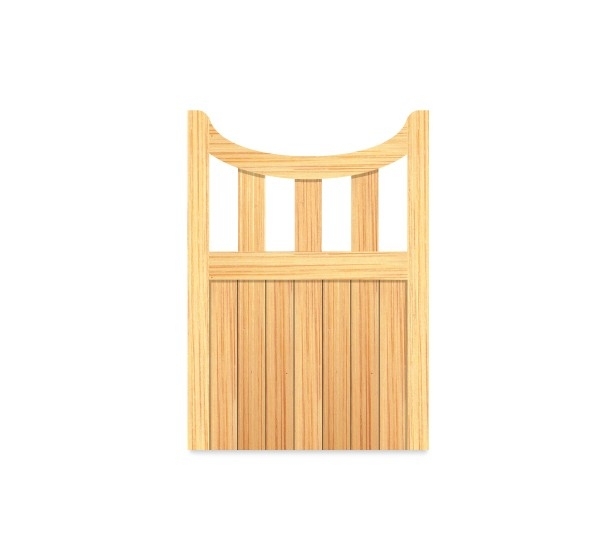 We currently offer 12 styles of wooden gates, each of which guarantee to enhance your garden and home. For an affordable yet strong and durable gate we recommend our Garden Shaped Top Economy Gate which will suit any garden. For something more top end, we have a number of stunning bespoke garden gates which guarantee to add a touch of elegance to your garden. With its sleek convex shape, the Astbury Garden Gate in particular will provide your garden with a beautiful entrance. For something more understated but still elegant, our Regency Garden Gate also provides a delightful entrance to any garden. Whatever your style, at B&K Timber, we have stress-free bespoke garden gates to suit every home. With free delivery on all of our bespoke garden gates to mainland UK addresses and, now really is the perfect time to order a beautiful bespoke garden gate. If you have any questions or need help with the ordering process, please do not hesitate to contact us today!